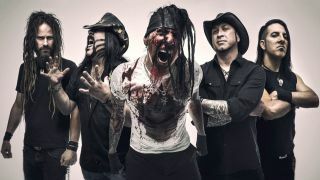 Hellyeah have launched a video for their cover of Phil Collins track I Don’t Care Anymore – featuring guitar work by late Pantera icon DImebag Darrell Abbott. He and brother Vinnie Paul – Hellyeah’s drummer – recorded their own version of the song before Dimebag was shot dead on stage in 2004. The master was adapted for inclusion in the new performance, which appears on Hellyeah’s latest album Undeniable. The Class Of 2000: Where Are They Now?